You always figured that those Victoria’s Secret Angels would throw beautiful, Pinterest-worthy parties, didn’t you? 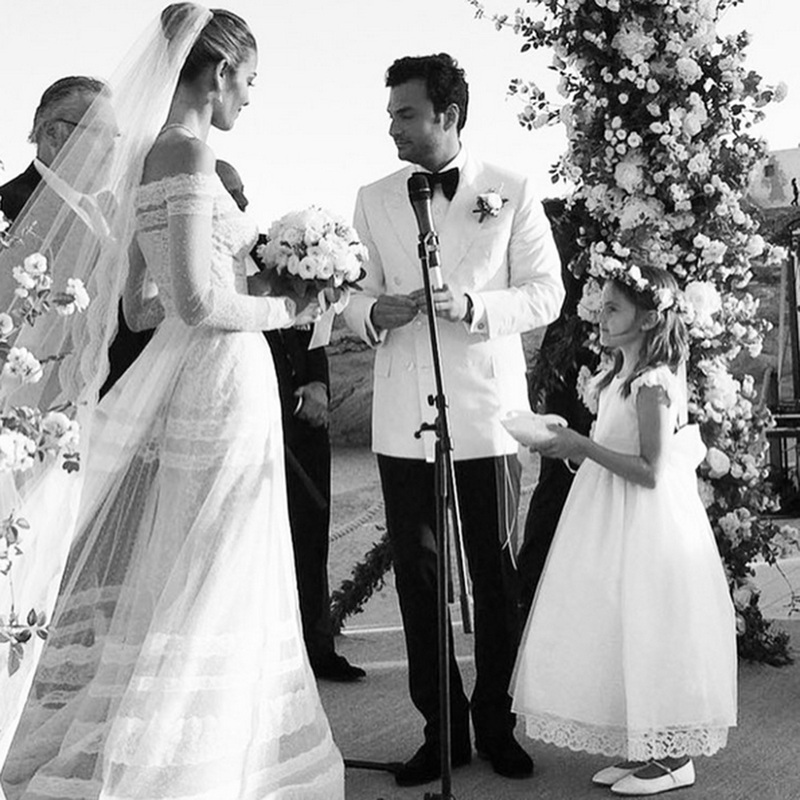 And now we have the proof, as former Angel Ana Beatriz Barros got married in Mykonos over the weekend and the pictures of her big day are something really gorgeous. Ana tied the knot with businessman Karim El Chiaty in a ceremony on the Greek island on Saturday, wearing a off-shoulder confection custom made by Valentino from fine sheer lace panels. The model’s bridesmaids included BFF and fellow Victoria’s Secret Angel Alessandra Ambrosio, as well as Isabeli Fontana and Fernanda Motti, who all wore slightly different bridesmaid dresses in a tonal scale of pink hues. The effect of the group together looks pretty amazing in photos, doesn’t it? See all the most stylish supermodel weddings. 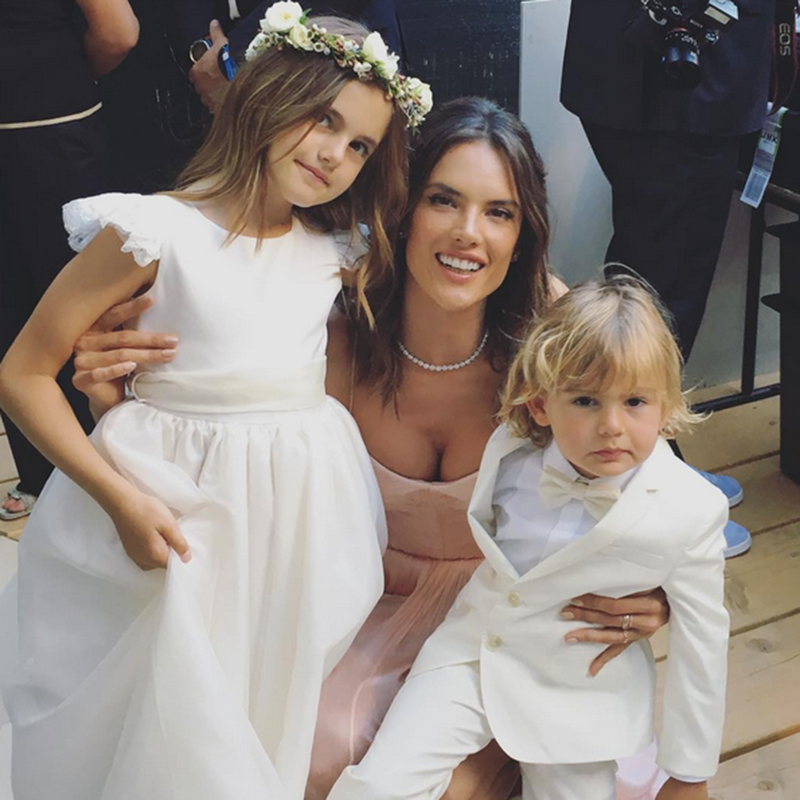 Alessandra’s daughter Anja and son Noah were flower girl and page boy on the big day, and looked absolutely adorable in their mini-me wedding outfits. The #BrideSquad also sported matching swimsuits on the day before the wedding, with the bride herself standing out from the supermodel pack in a white one-piece. The nuptials the reception, and the pre-parties the day before were, naturally, documented all over Instagram, with Ana switching between ruffled Alessandra Rich frocks and even more haute swimwear. See all the pictures from the stunning weekend in the gallery above.